We pray that your worshipping experience with us will be inspirational and uplifting. If this is your first visit to our Church, we invite you to enter your name, and contact information in our Guest Book located at the entrance of the Church or by sending us an email at office@saint-anthonys.org. 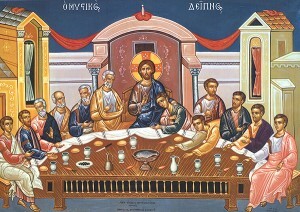 As for Holy Communion, only baptized and/or chrismated Orthodox Christians may partake of the Sacrament. 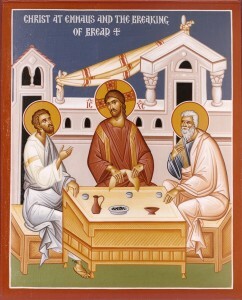 At the end of the Divine Liturgy, you are welcomed to come and receive the Antidoron (blessed bread), and also join us for the Social Hour in the Parish Hall. According to actual church service procedures, each and every member of the congregation is required to be seated in the pews at the beginning of the service. 7. Any special services (memorial services, processions, prayers). Please remember that the Parish Council members and the ushering staff are required to keep order during services, and all should follow their instructions at all times.